The customised Mahindra Marazzo comes with a bespoke cabin designed by Dilip Chhabria's DC Design. This customised cabin kit is suited people who plan to be chauffeur driven. 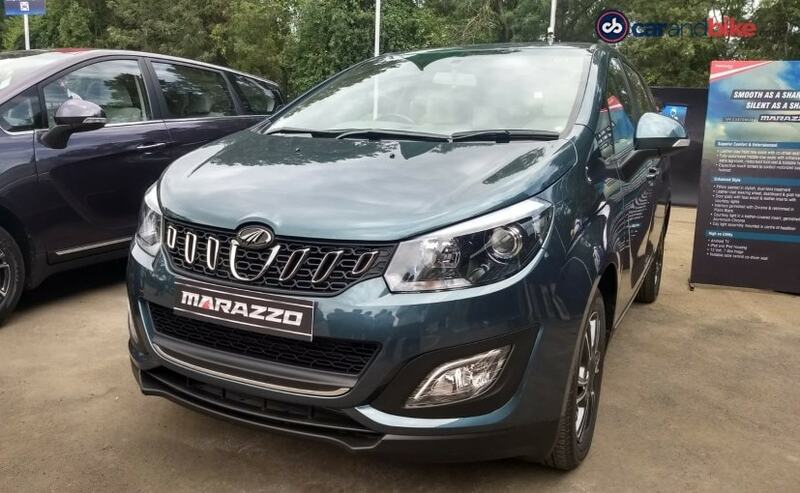 The Mahindra Marazzo MPV has finally gone on sale in India with an aggressive price tag and a host of smart and comfort features. The MPV comes in four variants - M2, M4, M6, and M8, and Mahindra also offers a host of additional accessories to jazz up the Marazzo. However, for those who want a bit more extra and mainly plan to be chauffeur driven, the carmaker also offers a customised Marazzo MPV with a bespoke cabin, specially designed by Dilip Chhabria's DC Design. This customised cabin kit made by DC Design for the Mahindra Marazzo will be offered at the dealership level, and customers will get a bunch of options to make the MPV more luxurious. The entire dashboard has been updated, featuring premium faux wood panels with chrome inlays and faux-leather claddings. 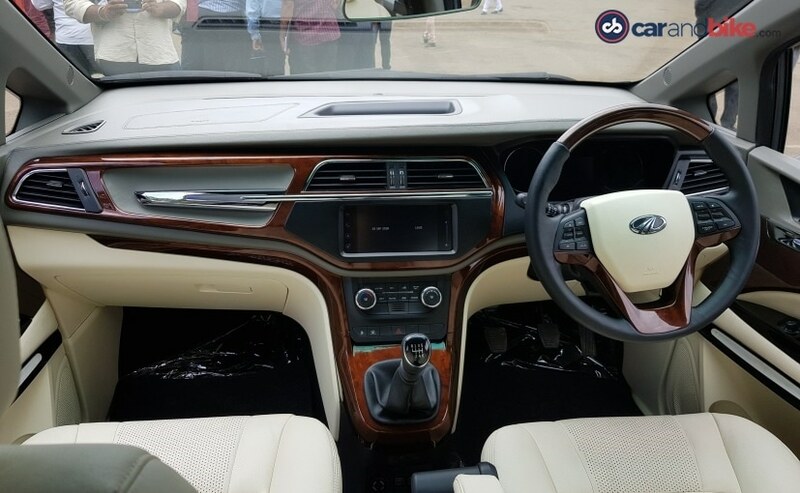 The multi-functional steering wheel and the door pads also feature faux wood and leather inserts along with courtesy lights, matching the dashboard design. The customised Marazzo also comes with specially designed power seats which are upholstered in premium faux leather. The middle row, in particular, comes with fully-automated seats with reclining function, extra legroom, motorised foot-rest and foldable seats and footrest. 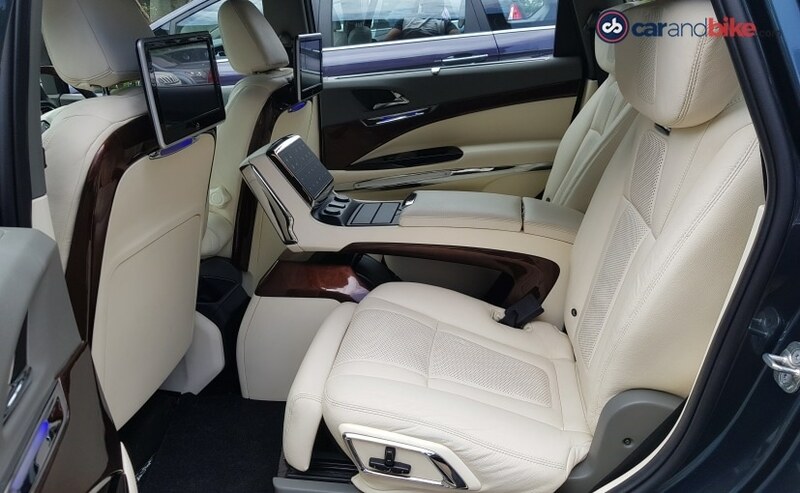 The rear passenger has access to a large capacitive touchscreen to control motorized seats and footrest, attached to the co-driver seat. 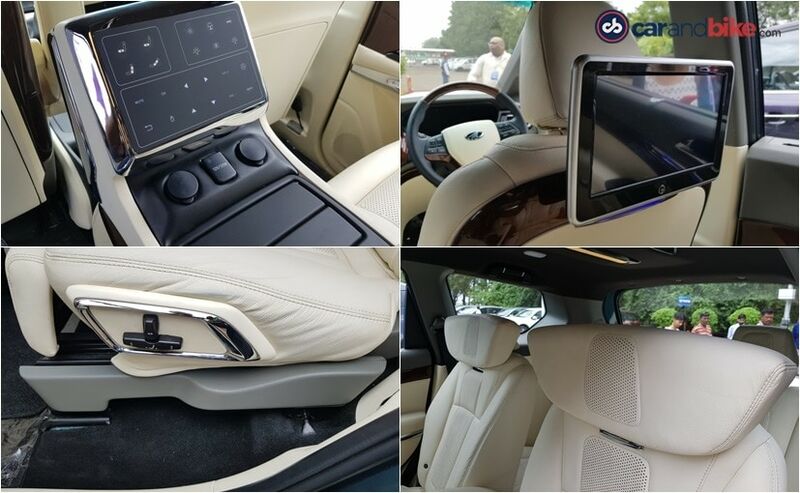 Other features include Android TV, iPad and iPod housing, 12-Volt charger and a 7-litre fridge placed inside the rear centre console. As for the exterior, there are no updates as part of the DC Design kit, however, Mahindra does offer an array of accessories and features. The models showcased at the event was based on the top-end M8 variant, featuring chrome grille, projector headlamps, LED daytime running lamps, 17-inch alloys, LED taillamps, and more. 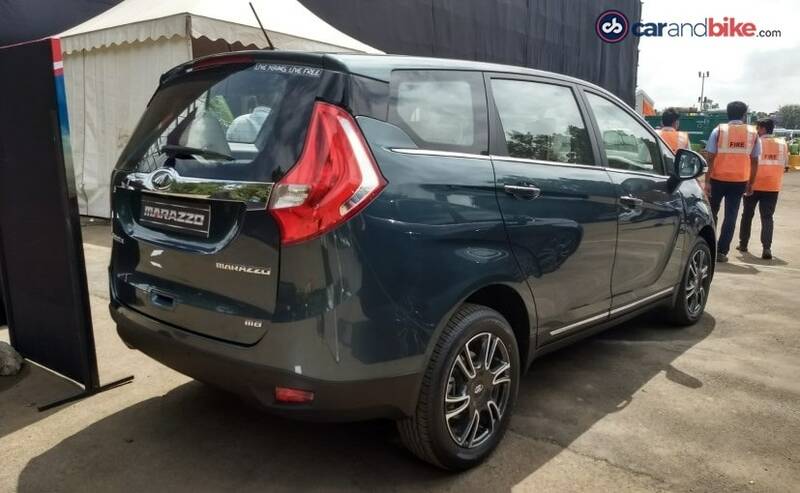 The car also comes with a bunch of standard safety features like dual airbags, ABS with EBD, all four disc brakes, and a segment-first emergency alert system that notifies authorities and family/friend once the airbags are deployed. Under the hood, the Mahindra Marazzo comes with a 1.5-litre four-cylinder diesel engine that has been tuned to offer a maximum of 121 bhp and develops a peak torque of 300 Nm. The engine only comes mated to a 6-speed manual gearbox, and right now, there is no automatic transmission on offer.